Sheikh Ali Abdullah Jaber (Arabic:علي عبدالله جابر) intonation of the Quran and of the most beautiful voices in this area, and was born in the year-Hijjah 1373 AH in Jeddah, Saudi Arabia. His parents moved to Medina and then age five years, and then his father died and is at the age of eleven years ensuring that they by his uncle. Sheikh Ali Jaber did learn the Koran, while at the age of fifteen years. Have received primary education in school, “ran” the city of Medina, and then secondary institute Islamic University in Medina before joining the Faculty of Law of the Islamic University. Sheikh Ali Jaber, a professor of Islamic Studies at King Abdul Aziz University in Jeddah, and Assistant Professor at the University of Medina. Years old in 1952, he received Sheikh Ali Jaber a doctorate in jurisprudence from the Higher Institute for the Elimination of Jeddah. Then, the imam at the Grand Mosque in Mecca where the to the ears of millions of Muslims that are subject heartfelt reading it with heart, and may broadcast an imam, Sheikh Ali Jaber Al Haram, until the year 1989. 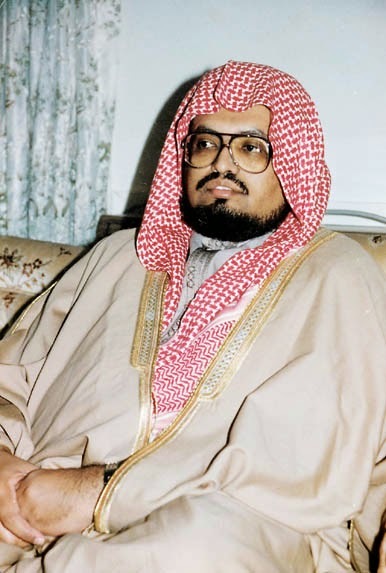 Sheikh Ali Jaber back to recite the Koran at least twice a day until he died after a severe illness and pain by the age of about 53 years old at the time, and that was on Wednesday, 14 September 2005, corresponding to a November 12, 1426 in Jeddah.